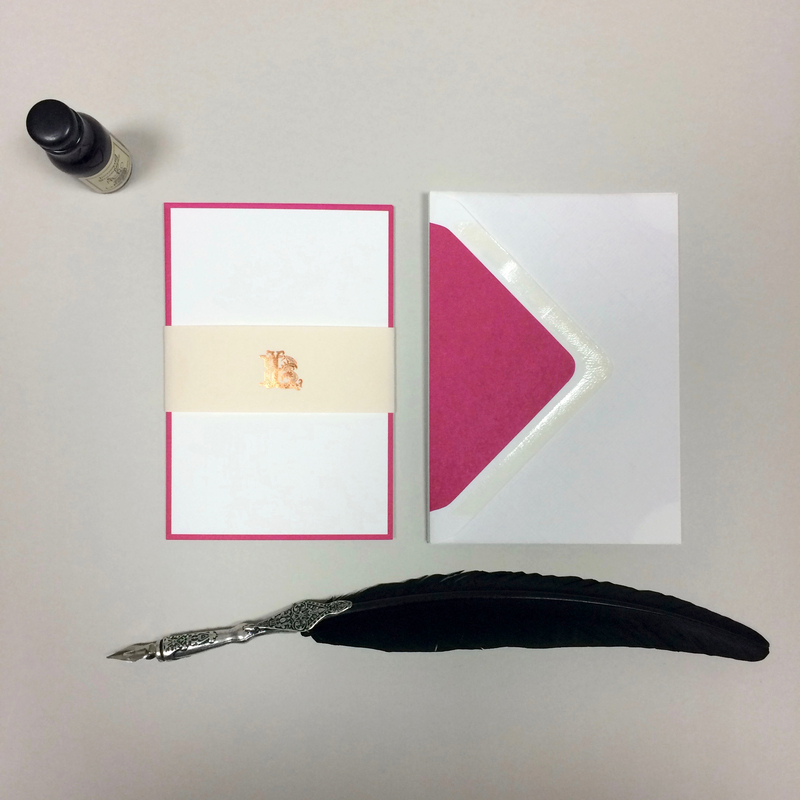 These fuchsia bordered cards are the perfect way to inject some colour into your personal stationery wardrobe. The cards are 350gsm white with a laid finish. The envelopes are lined in a colour matched tissue. The pack contains 5 cards with 5 matching envelopes. Card dimensions: 110 x 155mm (LB A6). © 2019 Leeming Brothers. All Rights Reserved.